Posted 9:48 am, Jan. 28, 2019. Early on, Cameron Phipps (MBA’19) realized that the key to a successful career in healthcare lies in having both strong technical and business skills. 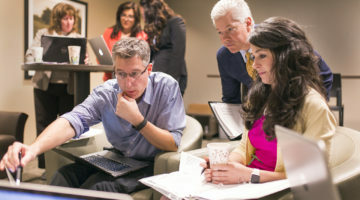 Having studied Chemistry and Community Health during college at the University of Illinois, Phipps gained the scientific knowledge he needed to launch his career as a consultant and project manager in the healthcare IT space. 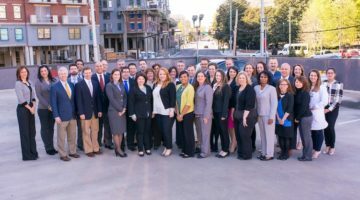 But after three years of experience, Phipps realized that he also needed a solid foundation in business if he wanted to take the next step in his healthcare career. 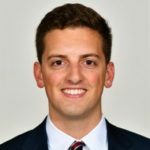 He decided to pursue an MBA at Vanderbilt Business, which has one of the strongest b-school track records in healthcare. 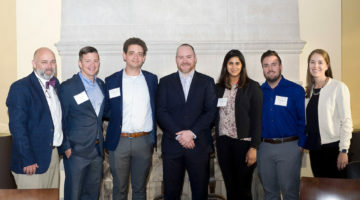 Phipps utilized Vanderbilt’s extensive alumni network in the healthcare field to connect with companies all over the country, ultimately landing a summer internship at Takeda Pharmaceutical Company. He used his time there to clarify his career aspirations, and became drawn to healthcare consulting. Click through Phipps’s timeline below to find out how he landed the offer. Who Should Enroll in the Master of Management in Healthcare?